Go straight to the gate + Best Price Guarantee + $400 in digital coupons + No booking fees! The DISNEYLAND® Resort is filled with classic attractions, dazzling entertainment and magic for people of all ages to enjoy. Our DISNEYLAND® 1-Park per Day E-Ticket is one of the most affordable ways to experience The Happiest Place on Earth. With this ticket, you'll be able to enjoy both DISNEYLAND® or DISNEY CALIFORNIA ADVENTURE® Parks each day that your ticket is valid. 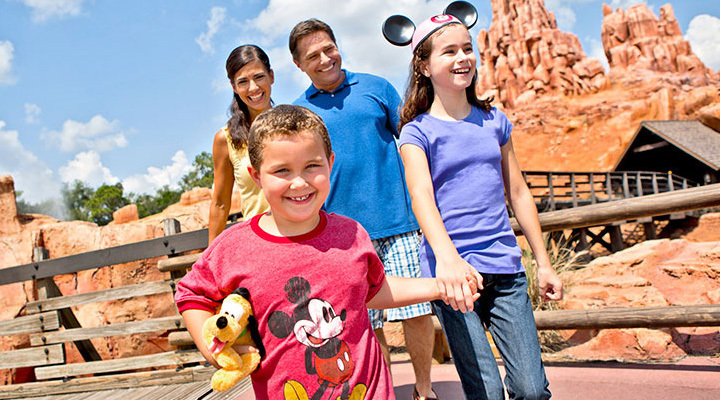 To experience the magic of both parks on the same day, consider upgrading to a PARK HOPPER® Ticket for the most flexibility on your vacation. All 3-Day and longer DISNEYLAND® 1-Park per Day E-Tickets include one Magic Morning into DISNEYLAND® Park on select days. All of our tickets are backed by our Best Price, Best Service Guarnatee, you'll never have to worry about saving the most on your DISNEYLAND® Resort vacation! NOTE: Changes to any one ticket will affect the entire order. If you foresee any potential cancellations in your group, please add each ticket to your cart one at a time to ensure that each of your tickets is able to keep the current low prices.